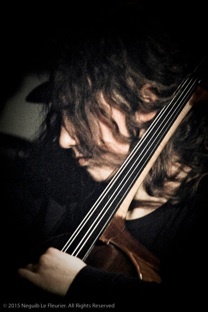 I am musician who plays the 'Cello & I create music for different performance platforms. My main area of activity and interest is in freely improvised music, in which I regularly play and collaborate in UK, mainland Europe and ocasionally further affield. I also compose and create scores for visual theatre, dance, film and other mediums. I studied classical 'Cello playing at The Guildhall School of Music and Drama, and trained to be a Music Leader at Community Music LTD. I am a member of a number of groups that push at different boundaries including ensemble interaction, instrument sonorities & tonalities, the threading of composed and improvised materials.